I want to hear no excuses. This is a diy that can be done by absolutely anybody, no matter your skill set. Creating a wreath is one of those things, whether it's based inside or outside the home, is actually a huge responsibility. I see it as the central focal point of all things that is Christmas in your household. Is that a little dramatic? 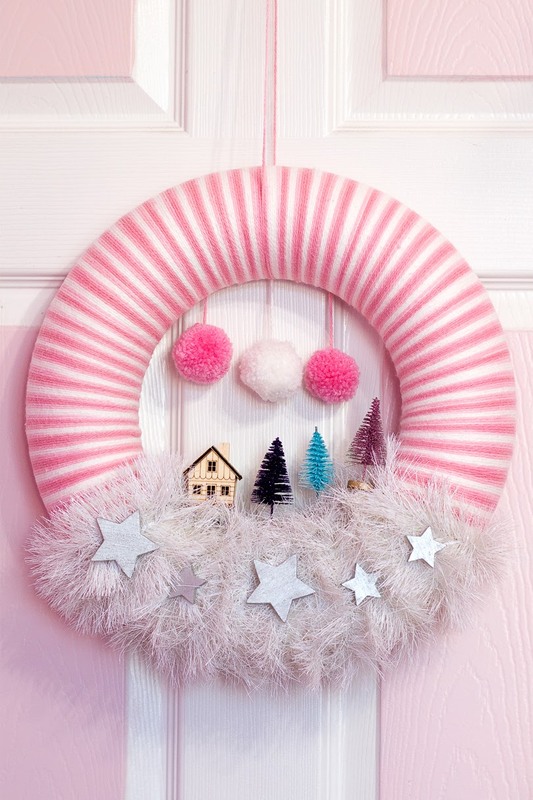 Probably, but I love seeing a running theme from your decorations and decor to your wreath. 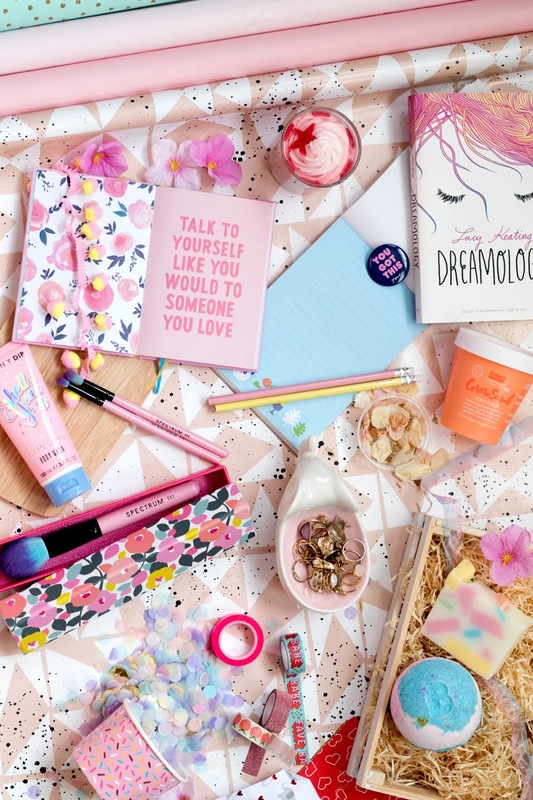 The colours, textures, and all the little details that make them so personal and special. Traditional wreaths are made from green foliage and decorated with fruit, berries, cinnamon, cones and ribbons. Even though those wreaths are very beautiful, as you can tell, I am far from traditional. Someone once told me they thought my Christmas was too pink... I politely told them to keep their opinions to themselves. That sort of negativity isn't something I would like to be around. 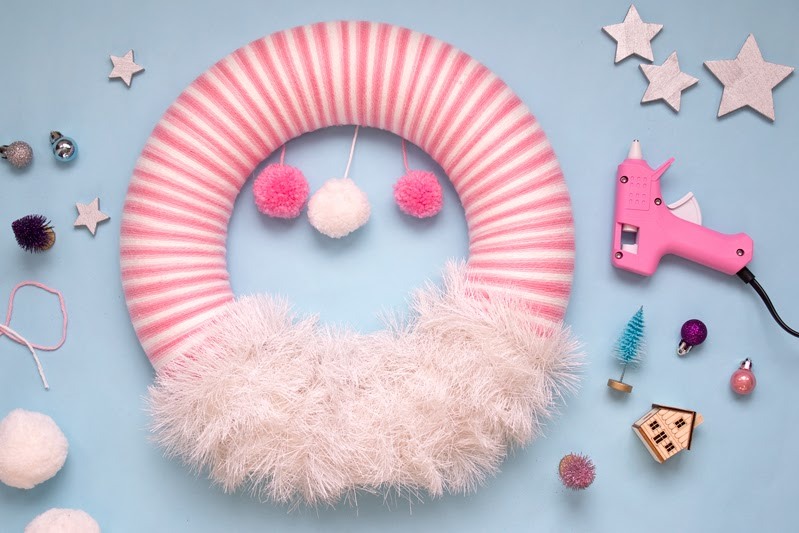 Putting together your wreath can seem a little overwhelming especially if crafting is a new thing for you, but it's all about creating a base and building up with new textures and decorations. 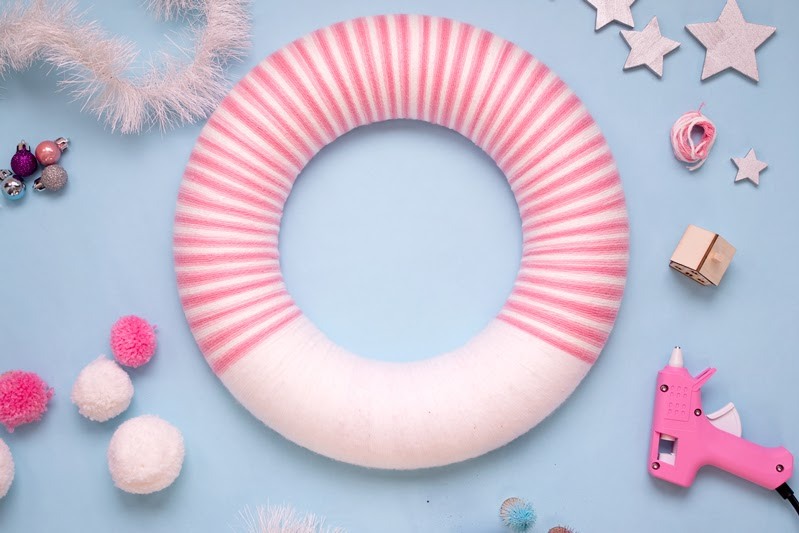 If you have an idea for your own style of wreath, I have put some tip together to help plan your making a little easier. Depending on what materials you're planning to use on your wreath will determine what wreath base you will pick; rattan grapevine or wicker is nice if you're looking for something with a rustic look, flat frame is ideal if you're wrapping around flowers or vines, or polystyrene if you want to completely cover your wreath - this is what I went for. Don't forget to choose the right size too. You can use a whole range of materials to wrap around your wreath such ribbon, twine, wool, yarn, tinsel, or strips of fabric. Give your wreath some texture by wrapping around another material preferably one that is different to your original base. There is no need to wrap it around the whole wreath, try a certain area or wrap it widely apart. 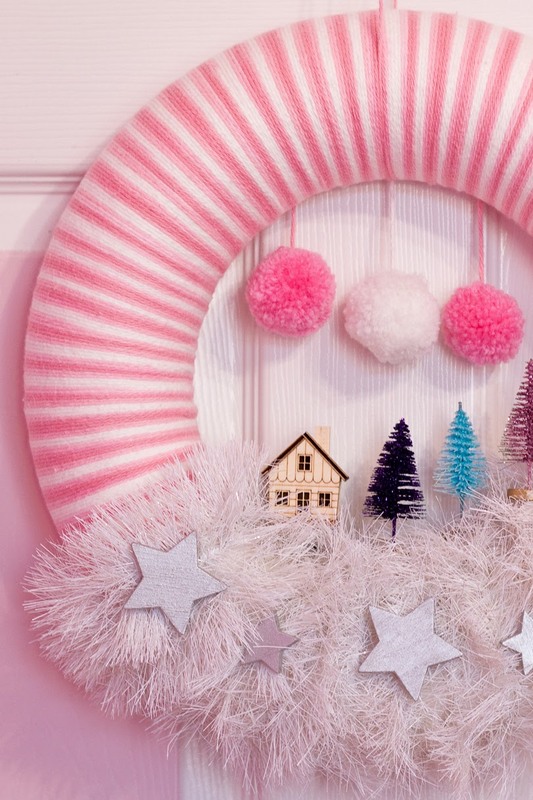 This is the fun part, and where you can make it really personal; how to decorate your wreath. You can use baubles, pom-poms, Christmas lights, wooden shapes, miniature items, flowers, leaves, dried fruits. You can make your own decorations out of paper or clay, or you can dismantle any old tree decorations you may have. 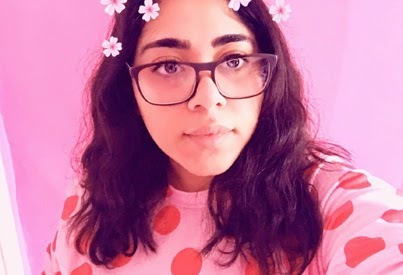 If you're still reading, (thank you), and the time has come to talk about my creation. 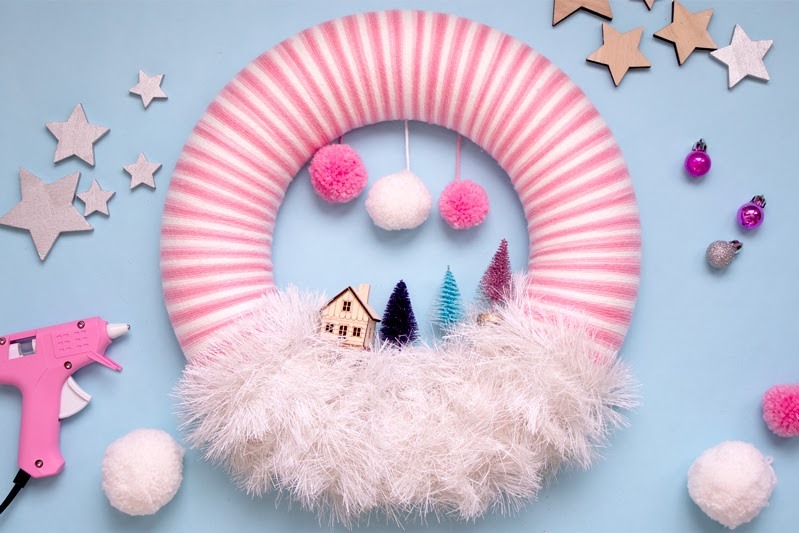 For my wreath, I created a cute little Christmas scene; a house surrounded by dreamy glittery coloured trees, on a bed of tinsel snow and stars, with pom-poms in the sky. Sounds completely dreamy to me - when can I move in? Can I just say how much I love this yarn? It is a combination of colours which gives it the "I spent ages wrapping three different coloured yarn" look, when the work was pretty much done for me. They always say everything happens for a reason, so when I realised that I didn't have enough yarn to wrap around my wreath, I thought blogmas was going to be over. But instead of having a nervous breakdown, I tried to find an alternative to cover the rest of my wreath; that's where the tinsel came in. I'm so glad that it did as I love the combination of colours and textures. I did wrap the rest of the wreath in a plain white yarn as the tinsel was too sparse to completely cover it. Creating my little scene was definitely the fun part. I painted the stars a metallic silver as the wood didn't fit so well with my pink/sparkly theme. The house and trees are my favourite things! I think they're originally meant to be clear bauble fillers, but luckily there are no rules when it comes to crafting. The pom-poms were something that I had made previously when I was really bored one day, thankfully now they have a purpose. Using a pin, secure the start of your yarn and wrap it tightly around your wreath. Make sure your yarn doesn't cross over at the back. If you have enough yarn to cover your wreath, do that, or if not, use some white yarn to finish your wreath. Once you have completely covered your wreath, secure the ends with a glue gun. 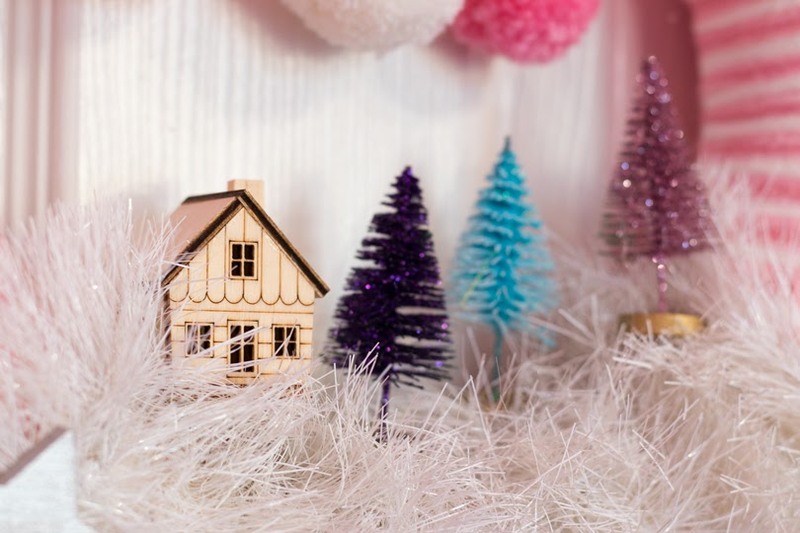 Wrap around your white tinsel and once you're happy, attach with a glue gun. 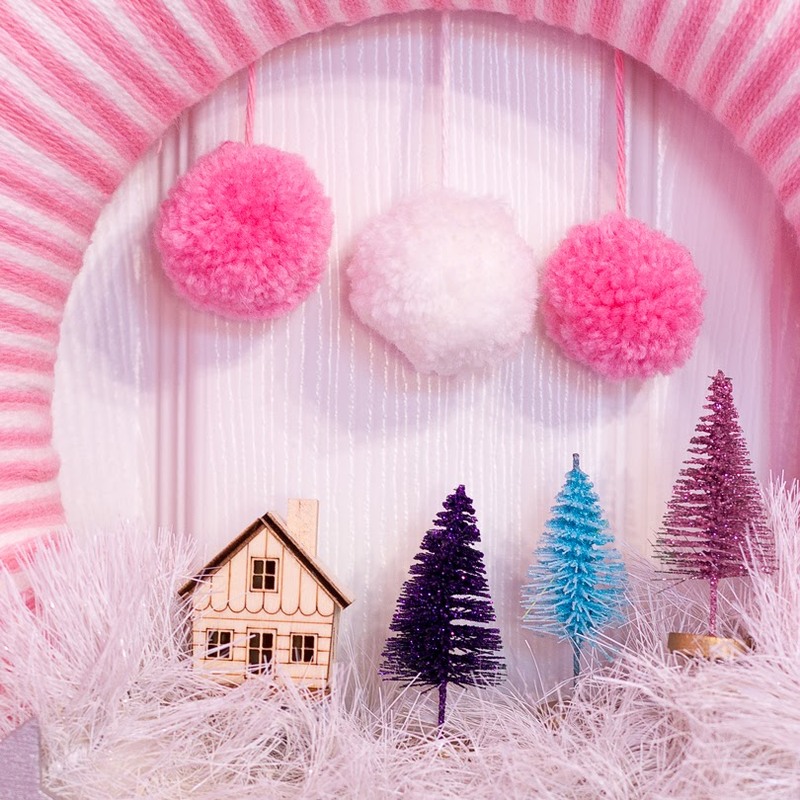 Pull a piece of yarn through your pom-poms and attach the long yarn to the back of your wreath. Secure your house, trees and stars with a glue gun. 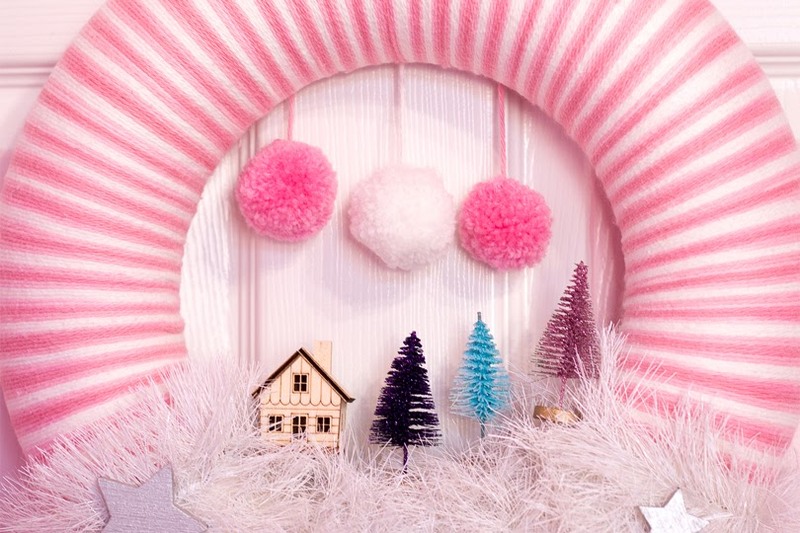 Attach a long piece of yarn to hang your wreath. Now I said that was easy! Let me know in the comments below if you've ever made a Christmas wreath and what it was like. If you decide to make a scene wreath for yourself, please let me know I'd love to see what you create. 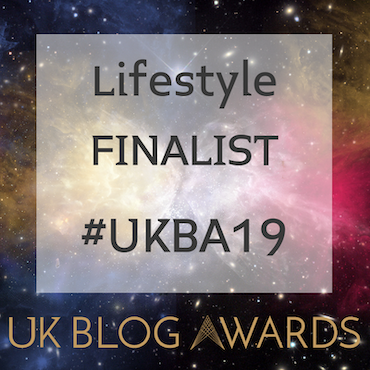 Keep up-to-date with everything blogmas related on my advent calendar.